Being an ISO certified organization; we have become the notable manufacturer, trader and distributor of Tapered Roller Bearings. 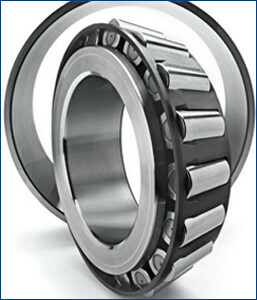 The offered roller bearings find its wide applications for installation in gearboxes, brakes and other electromechanical equipment. These bearings are manufactured under the strict vigilance of our veteran professionals using optimal quality metal and pioneering techniques. As per the specific requirements of clients, we offer these bearings in several sizes and finishes.